Shop at Baker's and Support Midland! Over the past three years alone, the Midland University Booster Club has come together to provide more than $125,000 in funding for the Midland Athletics Department. From facility and training upgrades to purchasing a new bus for team travel, your support has made a direct impact on nearly 2,500 student athletes. Our work isn’t done. Beyond the physical improvements we’ve provided, the Booster Club is now set up perfectly to help with an emergency scholarship fund for athletes. Join us today to help ensure that the Warrior tradition is strong for years to come! Join today to make an impact on these incredible student-athletes with a Membership in the Booster Club! With your gift, you will have the option to receive the exclusive Booster Club membership benefits listed below. Click on each giving level to learn more. Thank you to these donors for supporting Midland student-athletes! 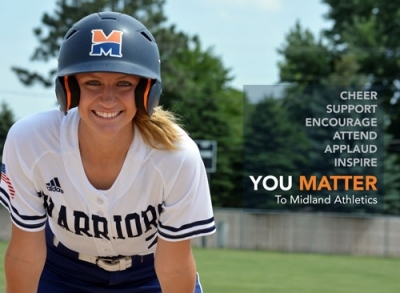 Sign up to receive Midland University news delivered right to your inbox.